As Christians, we understand Jesus died on the cross for the remission of our sins and as Easter approaches, the crucifixion is often meditated on. An Indianapolis doctor suggests that to truly understand the sacrifice Jesus made for us, we must first understand just how much he suffered. Washington correspondent Paul Strand recently spoke with Dr. Joseph Bergeron about his new book which gives a medical account of the crucifixion. 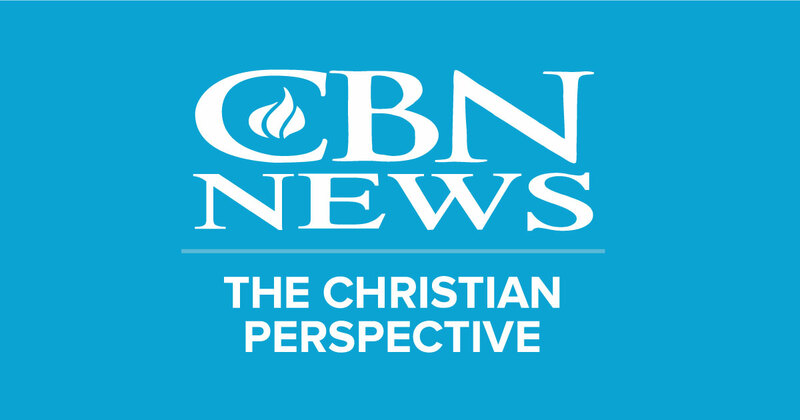 Paul is on today's CBN News Daily Rundown. Nearly two years after the start of Special Counsel Robert Mueller's investigation, his report is finally going public. The Justice Department says it will be released on Thursday--or at least a redacted version of it will be. The report is 400 pages long and is expected to add to our understanding of what exactly happened during the 2016 election. Washington D.C. Bureau Chief Dana Ritter is on today's CBN News Daily Rundown explaining what we'll be looking for. Christians around the world are observing Holy Week--the seven days before Easter that commemorate Jesus' final week before his crucifixion. Our news team in Jerusalem has been working on several special stories to air this week the Holy Land. Mideast Bureau Chief Chris Mitchell is on today's CBN News Daily Rundown. The latest Democrat to officially announce a 2020 election bid has surged in popularity over the last few months. Pete Buttigieg's campaign raised one million dollars in just a few hours following his announcement speech. Chief political analyst David Brody says Buttigieg has some qualities that could keep him a front-runner among the Democrat candidates. He's on today's CBN News Daily Rundown. Candidates for elected office who have a biblical worldview are often in over their head when they enter the political arena. The D.James Kennedy Center for Christian Statesmanship is looking to change that. They've started offering training to equip Christian candidates for service in government. Jennifer Wishon recently sat in on one of the classes in the program. She's on today's CBN News Daily Rundown. Benjamin Netanyahu will serve a historic fifth term as Prime Minister of Israel. The race between the Likud party and the Blue and White party was tight right up until the end. CBN multi-media producer Emily Jones (pictured below) spent Tuesday watching it all go down at the Likud party headquarters in Tel Aviv and she's on today's CBN News Daily Rundown. For the first time in history, the US is labeling another nation's military as a terrorist organization. The Trump administration is singling out the Iranian Revolutionary Guard. Secretary of State Mike Pompeo says this designation is due to the role of the IRGC in terror campaigns around the world. Senior International Correspondent George Thomas is on today's CBN News Daily Rundown with more on the IRGC and the consequences that come along with targeting the group. There's a program here in the US that allows businesses struggling to find workers, to apply for temporary foreign workers. It's called the H-2B program and it's in need of updating. Only a fraction of the American businesses who apply for workers from this program are given the help they need. That's because there's only a limited number of visas available. White House correspondent Ben Kennedy recently spoke with a company that relies on H-2B. He's on today's CBN News Daily Rundown.